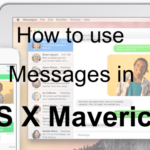 Wondering how to forward text messages to another iPhone or even an Android phone? Sometimes we get text messages or images that we really want to share with friends and family. Maybe it’s something funny, super-cute, or profound. Maybe it’s a photo or some other type of message attachment. Whatever the message is, we want to share it by quickly forwarding to all our peeps. 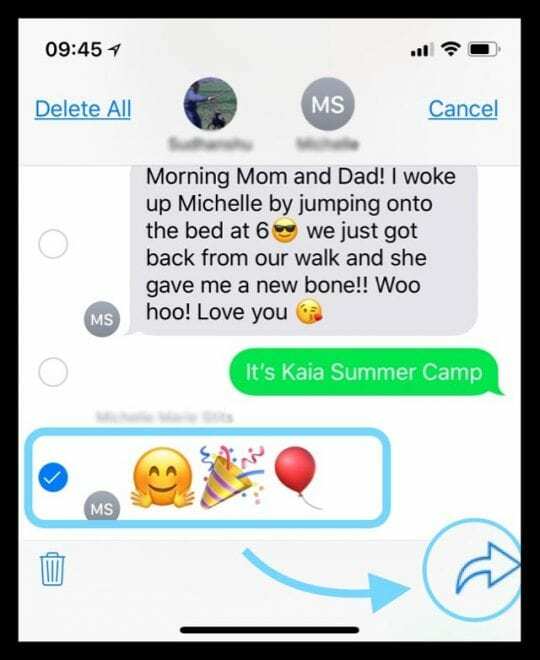 But then, we discover that it’s not so transparent on how exactly we forward anything to someone else via the Messages app! 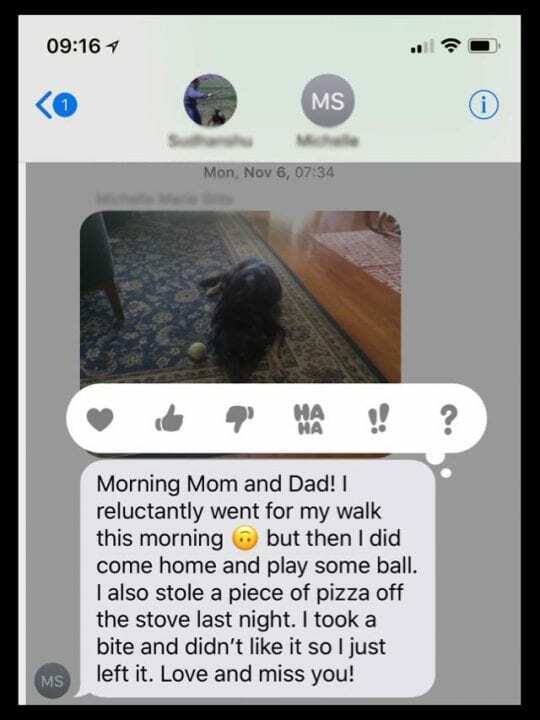 That’s exactly what happened to me a few days ago–I wanted to quickly forward a text and image one friend sent to another friend, knowing she would get a kick out of it. But try as I might, I couldn’t figure out how to forward that darn message and image to her! And yeah, it was frustrating. But the good news is I did indeed get to forward that message after taking a bit of time to learn how. So to answer the question how do I forward text messages to another iPhone? Or any other phone for that matter, here’s how we do it. Best of all, it’s pretty darn easy once you know! 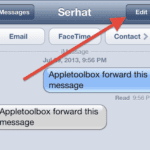 2 Want to auto-forward your iPhone’s text messages? 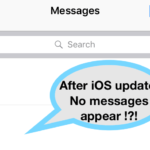 2.1 Or Use Apple’s Continuity Feature for SMS! It’s easy! Just follow those same steps except enter multiple names, phone numbers, emails, etc. when you reach step 6.1 and 6.2. It’s that simple. It’s all the same. And easy. 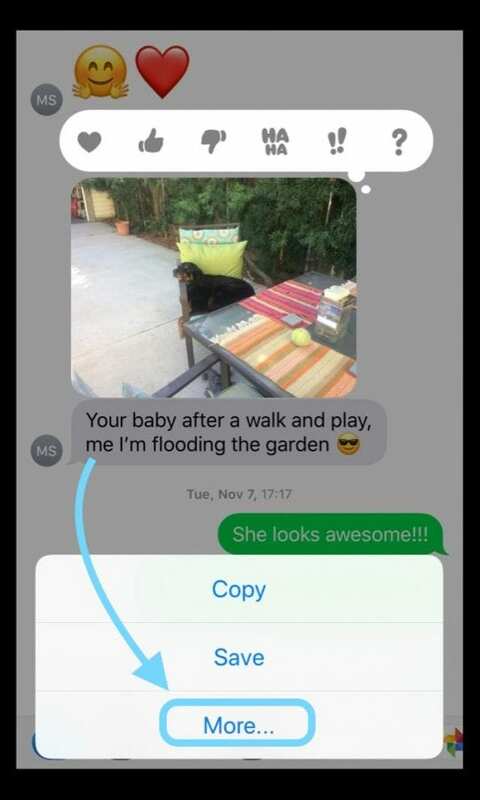 So if someone texts you a video, sticker, emoji, or pretty much anything else, you can forward that following those exact same steps. Just make sure you select all the items you want to forward by selecting the empty circle and getting a blue circle with a white checkmark next to all the content you want to forward. But remember that emoji don’t look the exactly the same if you’re sending to non-Apple devices. Luckily, stickers should look the same as your iDevice sends the sticker as an image. 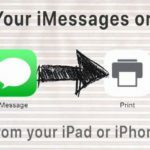 Want to auto-forward your iPhone’s text messages? It’s a question we hear a lot: can I forward text messages to another phone automatically? 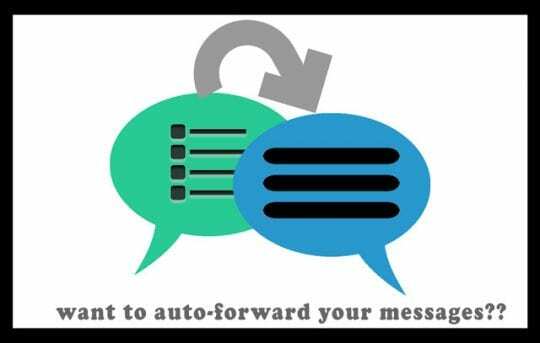 Many folks want to auto-forward their texts, like from a work phone to a personal phone or vice-versa. Or maybe you’re traveling to another country and using a different phone while away BUT you still want all your messages. Unfortunately, unlike Android phones, iPhones do not currently offer an app (even a third-party app) to do this for you. But there are some workarounds, here’s our best! First of all, if you’re sticking with the Apple eco-system, you can get the same iMessages on two or more iDevices if you log in with the same Apple ID. 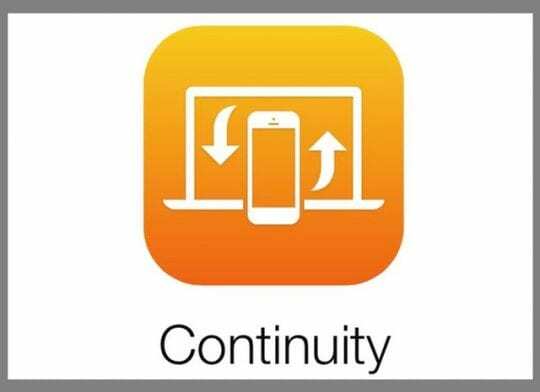 Or Use Apple’s Continuity Feature for SMS! 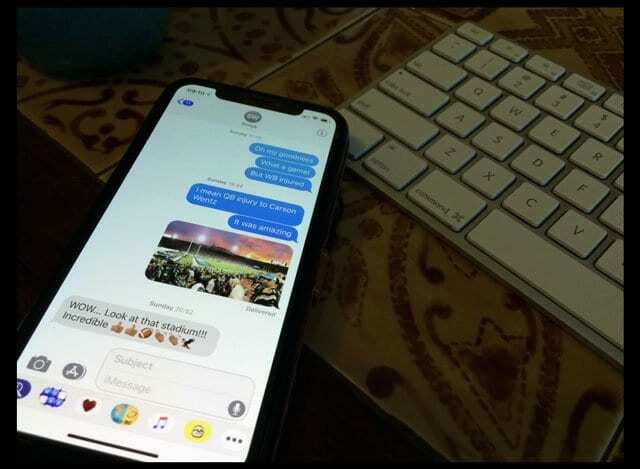 If you have an iPhone, any text messages that you send and receive on your iPhone can also appear on your Mac, iPad, and iPod touch. With Continuity, you continue your SMS conversations from whichever device is nearby. On iPhone, go to Settings > Messages > Send & Receive. Check that the Apple ID is the same Apple ID you’re using for iMessage on all your other devices. 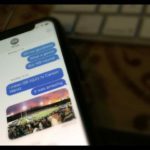 If none of these options are possible or if you want to auto forward text messages from iPhone to Android, check to see if your carrier offers some sort of text forwarding option. 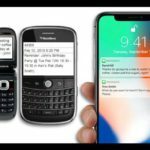 Currently, there is no option in iOS or via a third-party app that automatically sends all SMS texts from an iDevice to Android or any other mobile operating system. However, there is an app for Android phones to auto-forward texts to iPhones. 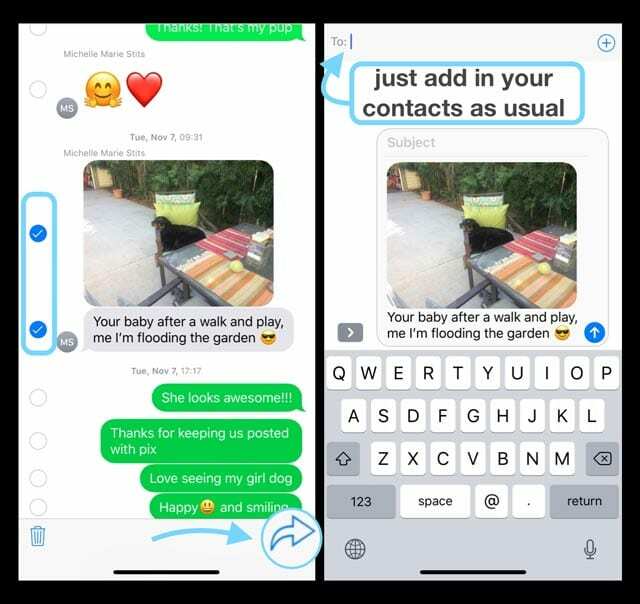 So if you have both an Android phone and an iPhone, try using a third-party app like AutoForwardSMS on your Android phone. These apps allow Android’s SMS texts to be auto-forwarded to any other phone type, including iPhones. 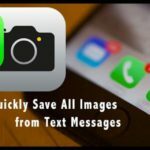 Many even forward your incoming text messages to your email address. So for folks using both Android and iPhone, there are options so you don’t always have to carry 2+ mobile phones. Many folks needing SMS auto-forwarding between multiple phones swear by Google Voice. The downside is that you need a new phone number–you cannot use your current iPhone number. However, Google offers that phone number, including a local area code, for free. And you can then install the Google Voice App using that same number on any number of smartphones and computers. That way all your texts, calls, and voicemails are synced between all types of devices, from all makers. So your Google Voice texts would show up on any device, with no need to carry more than one device at a time. However, on iPhones, all calls made using Google Voice DO count as minutes on your mobile phone plan, if that’s a concern. And Google Voice is currently available in the US only. Other similar options include apps like Sideline, LineUp, Second Phone Number, Hushed Second Number, and many others. Rather than recommending a particular app, we encourage our readers to visit the app store and read reviews and descriptions to see which app, if any, meets their specific needs. 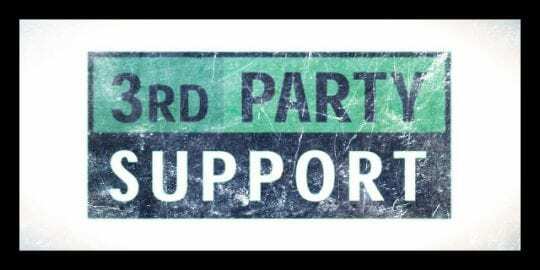 If text-forwarding is important to you or if you’re juggling multiple devices with multiple numbers, these third-party solutions might be the way to go.